Microsoft Windows 10 Pro - best for small businesses that want enhanced functionality. Windows 10 Pro provides all the features of Windows 10 Home + powerful management tools and enterprise grade security. Simple and flexible management - Windows 10 Pro is user-friendly and flexible: connect to business resources with Azure Active Directory. Your Office files like Excel, Word, and PowerPoint automatically get stored in the cloud, which acts as a virtual online drive, so you can share and work on documents in real time. Start editing a document in the office, keep working on it in the coffee shop on your phone, and finish up on your home PC. You can connect to your business or school Domain or Azure Active Directory to use network files, servers, printer and more. All you need is an internet connection and Remote Desktop. Cortana can provide notifications about appointments and deadlines, suggest documents you may need for an upcoming meeting, and keep your group calendar in sync. Easily create, modify, and open lists with just your voice. And Cortana seamlessly integrates with other Windows apps, like Sticky Notes, Ink reminders, and Microsoft To-Do events. The multitasking features with Office. You can arrange your screen however you want. Easily manage multiple Office apps and docs on one screen, and effortlessly snap up to four of them to optimize your workspace. You can also slide the shared edge of snapped apps to wherever you want it, easily resizing both apps in a single motion. An intuitive user experience, with built-in tools such as inking, tablet mode, and touchscreen. Windows 10 brings back an old favorite with the Start Menu for ease of access and quick lookup. It also features Cortana for voice assisted control in the start menu. 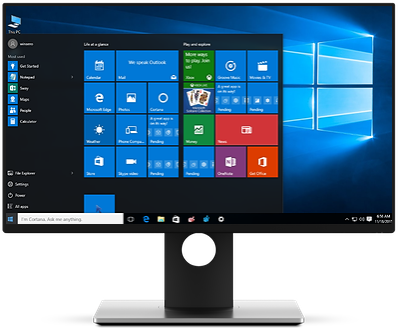 With Windows Continuum you don't have to choose between mobility, touch or desktop peripherals. Continuum allows for devices running Windows 10 to switch between tablet and adding keyboard and mouse for desktop mode. With Windows Autopilot, start using your new Windows 10 Pro devices quickly, without IT help. Enjoy simple and flexible management. Quickly access a Windows Ink Workspace with the click of a digital pen or straight from your taskbar. You can even pull up the Ink Workspace before logging in. Microsoft Edge is the faster, safer browser built for Windows 10. It's optimized for the modern web, but is still compatible with legacy apps and sites. The most significant new Windows 10 security feature involves a major improvement in authentication, based on biometric factors. Get essential business security features, built right into your device including BitLocker, which protects against loss of business information even when a device is lost or stolen. Sign in to your Windows devices with Windows Hello in less than 2 seconds 3 times faster than a password. Facial or fingerprint recognition provides instant access, and you always have the option of retaining a PIN as a backup. While geared toward business customers, Windows 10 Professional is a good operating system choice for home users with powerful computer systems. My Choice Software makes it easy for you to install Windows 10 Professional with this 1 License version that will arrive quickly via electronic delivery.  The design of Windows 10 takes the best features from the two prior operating systems, Windows 7 and Windows 8, and incorporates them into an operating system that works similarly well on PCs and tablets. This professional version of Windows 10 has many features that are not found on the Home version, including enterprise data protection, BitLocker and trusted boot for security, remote desktop, domain join and enterprise mode Internet Explorer for business use and the ability to join Azure Active Directory with a single sign-on to cloud-hosted applications. After purchasing this software, you will receive one license activation code and a link to Microsoft's Media Creation Tool for Windows 10 Professional. Expanded Start menu: The familiar Start menu is back, providing quick, one-click access to the functions and files that people use most, and also a new space to personalize with favorite apps, programs, people, and websites. Apps that run in Windows: Apps from the Windows Store now open in the same format that desktop programs do. They can be resized and moved around, and they have title bars at the top, allowing users to maximize, minimize, and close with a click. Snap enhancements: Have up to four apps snapped on the same screen with a new quadrant layout. Windows will also show other apps and programs running for additional snapping, and even make smart suggestions about filling available screen space with other open apps. New task view button: The new task view button on the task-bar enables one view for all open apps and files, allowing for quick switching and one-touch access to any desktops the user creates. Multiple desktops: Instead of too many apps and files overlapping on a single desktop, it's easy to create, and switch between, distinct desktops for different purposes and projects, whether for work, personal use, or both. Fulfilled within 30 minutes during normal business hours. You will receive (1) license activation code and a link to Microsoft's Media Creation Tool for Windows 10 Professional.